One of the things that Dr. Randy Blacketer’s introduction of Richard Muller last week at the CTS PhD anniversary event made clear was the extent to which Dr. Muller has served as a real mentor to so many of his students. One of his legacies in this regard is the fostering of academic development represented in his encouragement of his students to regularly present their research findings in public lectures and readings of papers at conferences. 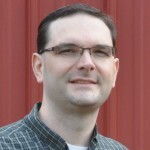 To this end, a number of years back Dr. Muller helped to create a graduate studies seminar at Calvin Theological Seminary, focused on the historical theology students. This seminar was relatively informal and yet met with some regularity. Current students would often present their research, and graduates would sometimes return to give an update on their current research. Other times visiting scholars would come and give a special lecture to the CTS community. With the launch of the Junius Institute this year, these gatherings have been formalized into a Colloquium series, pursued in conjunction with the doctoral program at CTS. The aim of the program remains the same: to provide an outlet for students to present research on their dissertations and to be exposed to research projects in progress from graduates and established scholars. As part of our efforts to disseminate scholarship digitally and foster scholarly discourse, we’re happy to make the audio of this event available below. For more on Montagu, visit his page at PRDL. And check out the Colloquium page for more information about upcoming lectures in the Fall 2013 series. 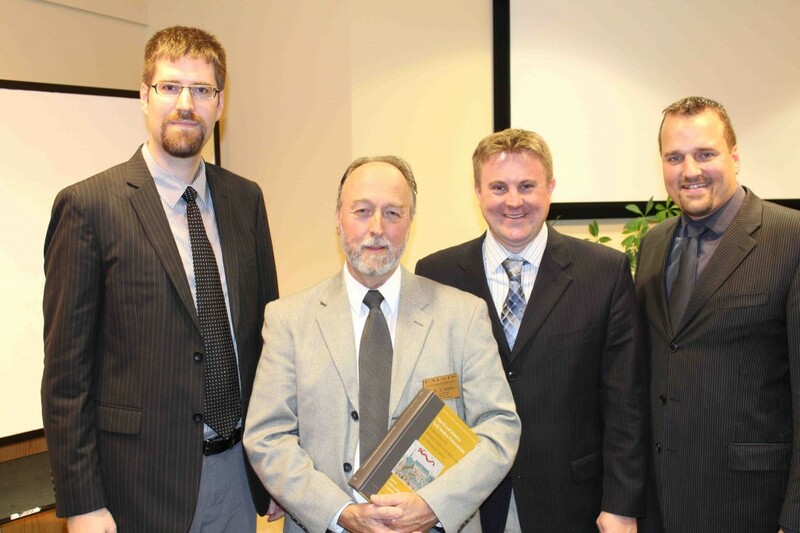 Last Wednesday Calvin Theological Seminary held a celebration of the 20th anniversary of the school’s doctoral program. Part of the agenda included a lecture by Richard A. Muller, the P.J. Zondervan Professor of Historical Theology at Calvin, who also serves as senior fellow of the Junius Institute. Dr. Muller and Dr. Ronald Feenstra were two of the key faculty appointments at the founding of the doctoral program, and Dr. Muller’s talk focused on the past, present, and possible futures of the doctoral program. After Dr. Muller’s lecture, Dr. Feenstra introduced an item for the event that did not appear on the schedule: the presentation of a Festschrift to Dr. Muller on the occasion of his 65th birthday this past weekend. I served as a co-editor of the volume along with Dr. David Sytsma, the research curator at the Junius Institute, and Dr. Jason Zuidema. The three of us spoke about the volume and presented a copy to Dr. Muller at the event, who was taken by surprise at the gift and treated to a standing ovation. 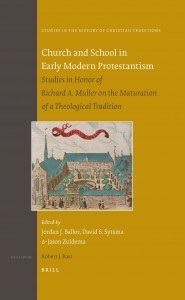 The scope and scale of Richard Muller’s influence on more than a generation of scholarship of the Reformation and post-Reformation periods is unlikely to be properly appreciated in the near future. But this volume represents an initial attempt toward that end. The size of this collection of essays produced in his honor is merely emblematic of the literature inspired by his helpfully revisionist career. The variety of the essays, both in terms of content as well as in terms of the institutional affiliations of the authors, speaks to the diverse audiences in which Richard’s insights have found positive reception. In attempting to find a unified theme around which to organize this Festschrift, the dynamic relationship between the church and the academy, between the pulpit and the lectern, was chosen, not because it exhausts the implications of Richard’s work, but because it represents one of the key insights of his approach to the sources. The volume includes work from 55 different contributors, whose variety of institutional affiliation, geographical location, and research interests speaks directly to the significant of Richard Muller’s intellectual legacy. The volume runs in excess of 800 pages, including a 40 page bibliography of Dr. Muller’s work.